These Etz Chaim Torah Rollers were commissioned by the Womens Torah Project (WTP), a project of the Kadima Reconstructionist Community in Seattle, WA. The WTP Etz Chaim Torah Rollers were commissioned by the Womens Torah Project (WTP), a project of the Kadima Reconstructionist Community in Seattle, WA. 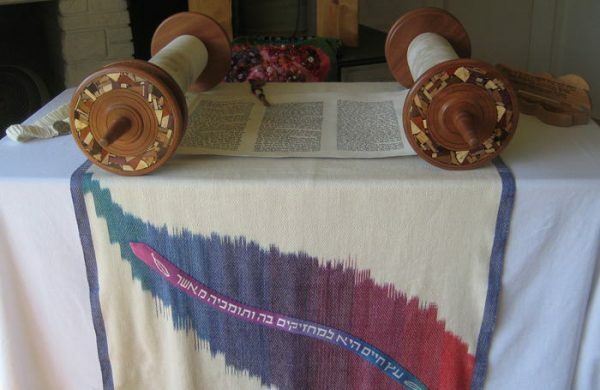 The WTP created the first sefer Torah in history to be scribed and embellished by an international community of women in modern times; the first Torah to be intentionally scribed by a partnership of women; and the first Torah to be supported, written and adorned by an international community of women and men sustaining one another through the hard work of transforming ideals into reality. 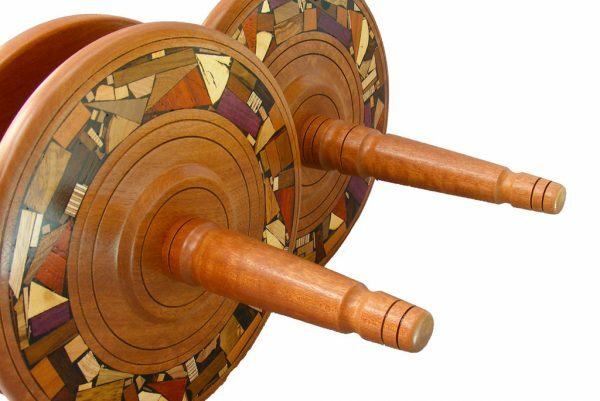 These Etz Chaim Torah Rollers are made from beautiful mahogany wood elegantly embellished with Etz-Rn’s signature multi wood mosaics. 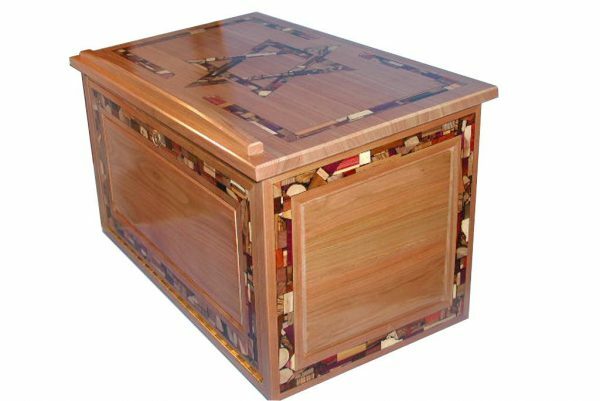 Etz-Ron’s mosaics are made with over 30 different kinds of solid woods. Each piece is hand inlaid into the project. No stains or dyes are used. The colors you see are the natural colors of each wood. This way, you get to experience the unique grain patterns and color variations of the different woods. See Etz Chaim Torah Rollers and the antique Etz-Chaim Torah Rollers-King and Queen– restoration. 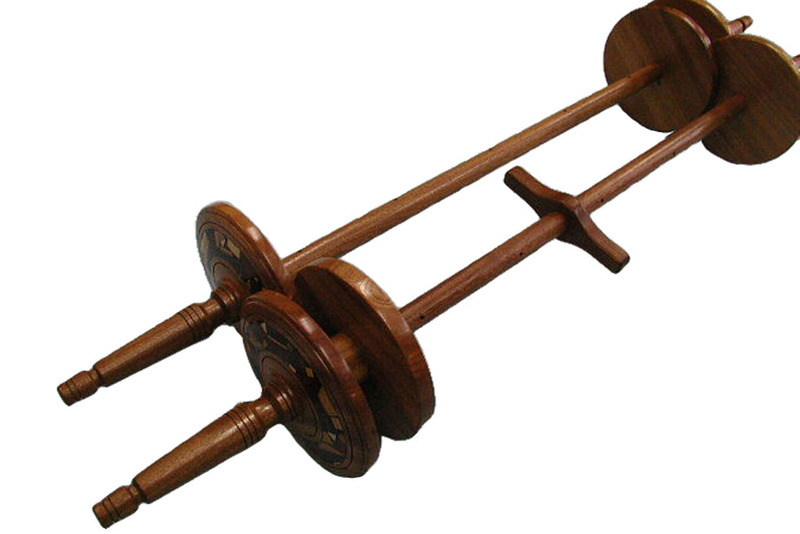 Interested in ordering a similar set of beautiful Torah Rollers for your synagogue? Contact me.